HSC Alim equivalent Exam 2019 held from 1st April 2019. 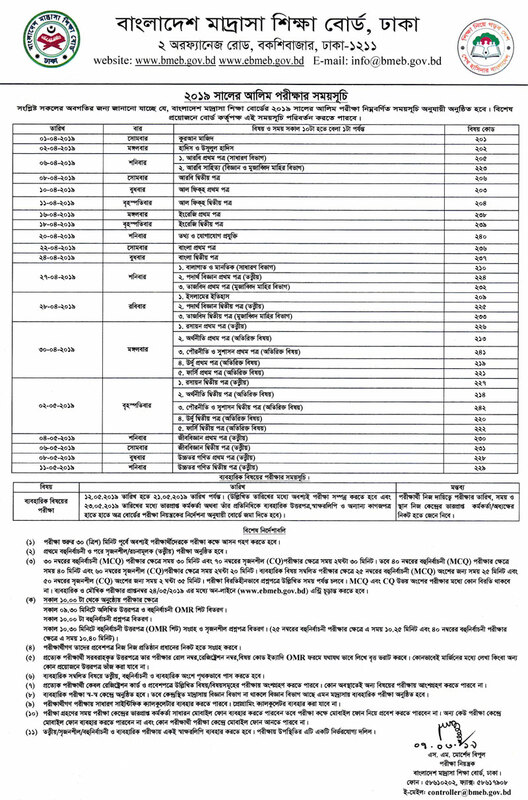 HSC Routine 2019 has Published & found here. Last year HSC equivalent exam was started from 02 April 2018. This year HSC of 8 (Eight) general boards, Alim of Bangladesh Madrasha Education Board and HSC of Vocational or Technical Education Board exam will be started from 1st April 2019. HSC Alim equivalent Exam 2019 held from 1st April 2019. HSC Equivalent Examines are advice to keep their eyes for any changes of exam routine updates. The routine may be changed any time by direction of the concerned authority.